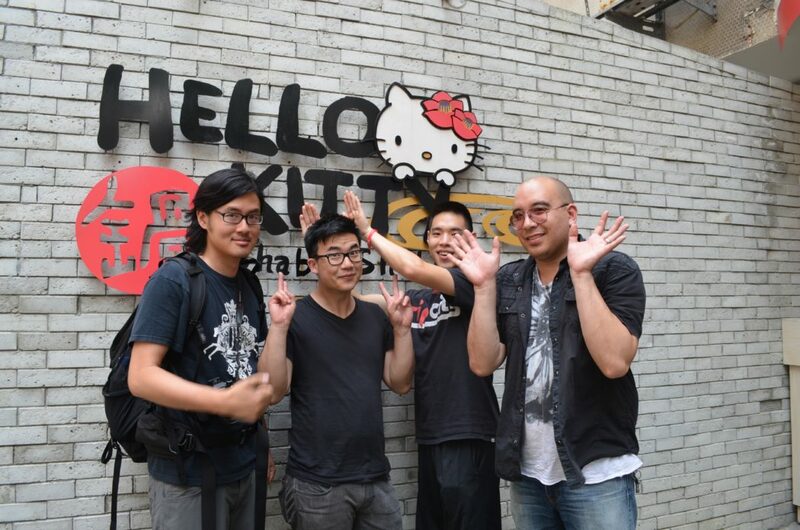 The Slants—the world’s first and only all Asian American dance rock band—filmed their new music video “Heartbeat is Heaven” during a long-awaited tour to Taiwan, where they also performed at Taiwan’s legendary outdoor music festival Spring Scream! The Slants have been featured on Conan O’Brien, NPR, BBC, CBS, TIME, and 1500+ radio stations, tv shows, magazines and websites in over 80+ countries. Check out thoughts on their Taiwan adventures below! How did everyone get involved with The Slants? Simon: I started this band about a decade ago. I originally wanted something that would help represent the Asian Pacific American experience, to celebrate our respective cultures, but it became much more. Today, we travel around the world to play catchy dance rock music while sharing an anti-racist message. Joe: Prior to joining the band, I was slowly developing a movie directing/editing career with plans to move to LA. Writing and playing music was just as important to me but I had abandoned the idea of being a touring musician a long time ago. It was dumb luck that a friend had mentioned The Slants were auditioning musicians for their new line up just as I was shifting my life around for my creative pursuits. When I heard about it, I thought “Why not give rocking one more try?” That was a good decision. Ken: I was born and raised in Portland, Oregon. Started taking music lessons when I was 4 years old and haven’t stopped since! I was referred to The Slants by a friend and joined the family two years ago. 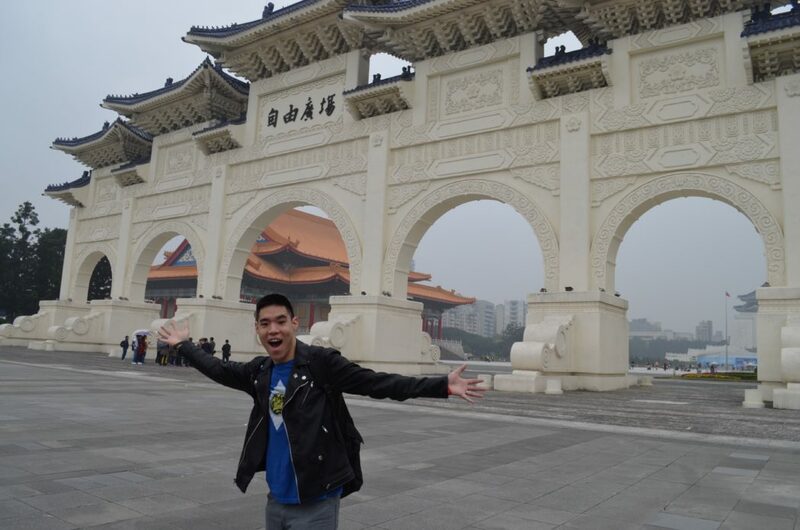 You recently toured across Taiwan—what were some of your favorite memories? Ken: The people of Taiwan were so nice! The food that we ate was very good, and always readily available at the legendary night markets. My favorite memory that I have is from walking down the street and just grabbing food from what seemed like every other cart! Just being with my band mates and wife is something I won’t forget. Joe: Taiwan was incredible! I speak Mandarin fluently so I felt fairly comfortable navigating the country, which gave me the freedom to explore. The band had an easy tour schedule so we mostly got to hang out, meet really cool people and sightsee extensively. I also ate everything that was edible. Simon: I loved every moment of the experience – from eating at the original Din Tai Fung to having freshly-made scallion pancakes on the street. My favorite experience was being able to connect with some family members that I’d not seen in many years – including some that I’ve never met! 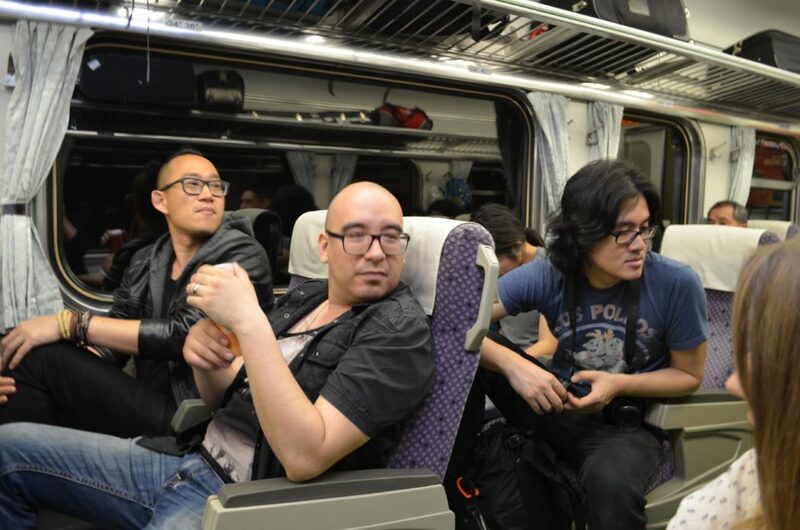 Your new music video “Heartbeat is Heaven” features footage of your Taiwan tour. Can you tell us a bit more about how the idea for that video came together? Simon: Tour videos are a standard in the music industry – it’s a great way to share our favorite moments with fans, as well as celebrate with new ones that we made along the way. Joe: The music video was made up of footage from the tour documentary that I directed and edited for the band. As I was editing the movie, I knew I wanted it to end with a music video of b-roll footage. “Heartbeat is Heaven” just has this uplifting sound to it that is fitting for a retrospective. As a standalone music video, it is both a teaser of the tour movie and a nice memento of our travels. What can fans expect to see on your Taiwan Tour DVD? Joe: The tour movie and its DVD should feel like a home movie of the band made with love. It’s basically my point-of-view of what it’s like to be in The Slants. I’ve always enjoyed band movies that felt personal and honest and I’ve tried my best to create something like that for our fans and supporters. Ken: Food, music and MORE FOOD! It shows us running from Taipei to the southern tip of Kenting and back. We had so much fun! Simon: I love that our fans are able to learn about parts of Taiwan that they might not otherwise be able to see themselves – from the themed hotels to night markets, from Spring Scream music festival to a Harry Potter-esque ice cream shop, it’s an incredible visual journey across the entire island. Not only that, but the DVD has extra’s like a fun video commentary, music videos, and extended footage of our “food challenges.” And for fans of Johnny Hi-Fi, Eris Hsu joins us throughout the trip as our tour manager! For fans who haven’t seen you, what can they expect at a live show? Joe: Energy. It’s fun to play music on a stage and we try to express that in our performance. Ken: Expect a lot of energy and heart, along with music that will get you dancing! Simon: I think people have a good time. Whether people enjoy the music or not (hopefully they do), we try and make it as entertaining as possible. In addition to the concert, we love hanging out and talking to fans about our experiences- and about our favorite foods. What projects are you working on now? What are you most excited about? Joe: Currently, I am pretty much writing music full time. My push is for us to go into the studio with 30 plus songs to choose from. It is extremely exciting to be creating music as a job. On the side, I’m also co-directing and editing a short film called “The Cutting Shadow” that will most likely be making its rounds at film festivals next year. I feel very lucky live out both my dreams of being a musician and a filmmaker at the same time! Ken: New album! These songs are really starting to come together! Simon: We’re definitely all super excited about the new album…but we also have some major touring next year too. We’ll be on the road for a few months at a time and covering almost every state in the U.S! Along the way, we’ll also have a stop at the U.S Supreme Court as we fight for the right to register our band’s trademark – and to stop the government from being able to deny people rights based on their race. As well as on iTunes, Amazon, Google Play, and independent record stores around the world!